We bought a boxed set of 12 beautiful enamelled c1925 glass knife rests by Delvaux which we decided were too beautiful to leave in a box. We therefore framed each one in a black lacquered frame with white mount & black lacquer slip so that you can buy the ones that you want rather than all 12. This knife rest has 2 green trees with red apples above a blue ground. 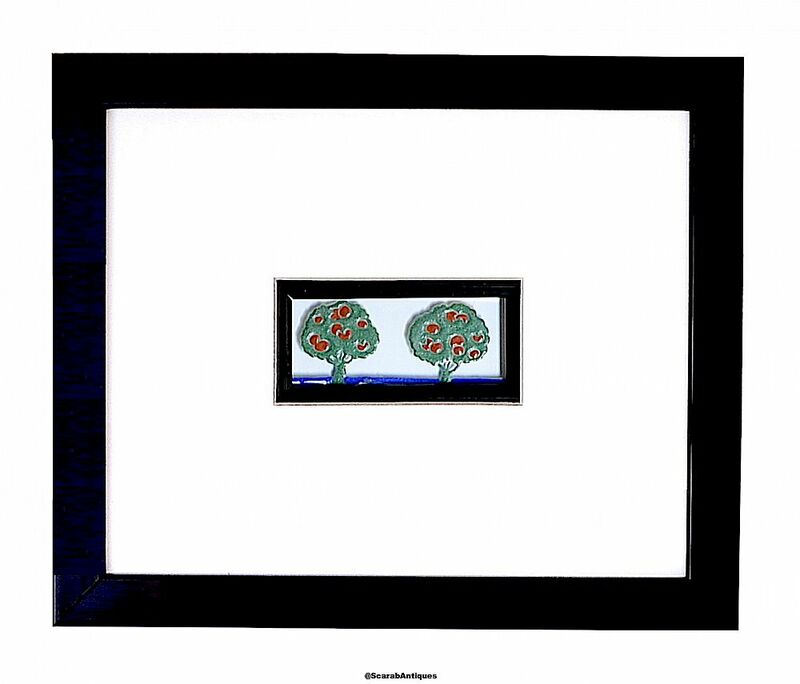 The picture is framed with anti-reflective glass but do not touch the glass with your bare fingers as although the print will appear to clean off it will show up once exposed to sunlight.